Schools let children learn in social environments that allow them to interact and play with their friends and classmates as they learn and discover new things together. Power them up by letting them sleep at least 9 hours a day so they can have power-packed days at school for more fun learning and adventures. 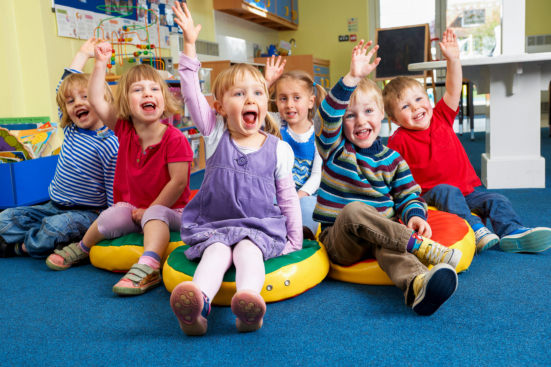 The activities we have outlined for our child care services in Anaheim, California are thoughtfully planned out to fit the dynamic needs of our preschoolers to fortify their learning and development. With adequate sleep, they have the energy to enjoy the day’s activities which make preschoolers generally perform better because they can absorb information faster while they have fun as they learn. Have you noticed how children wake up happier from a good night’s sleep? It is because of the long hours of sleep that help their bodies get enough rest from a long day of play. The brain basically needs to rest as well since it is continuously working, even in our sleep. Rest helps stabilize the emotions and the playful mindset of preschoolers. When they get a good night’s sleep, they wake up with lesser chances of having tantrums, especially when parents communicate with them and try to understand what they are feeling. Preschoolers are not experts when it comes to understanding what they feel, which makes them irritable and cranky. They are still learning, after all. On top of getting the right amount of sleep, children need great support systems at home and at school that will positively motivate them to discover new things with a happy energy. Together with good nutrition, the long hours of sleep that the brain needs can help to develop both sides of the brain – right for creativity and left for logic and critical thinking. When children ages 3-5 get at least 10-13 hours of sleep a night, it immensely translates to a well-developed brain which will help them become better logical thinkers and problem-solvers in life. A good night’s sleep goes a long way in a child’s day since it gives them the focus towards the activities they need to do in school. In turn, they can understand things better and utlimately, perform better. Children need enough hours of sleep to keep them away from the prolonged use of gadgets. As a holistic child care provider in Anaheim, California, we help families raise virtuous young citizens who are ready to make the world better by promoting good health and proper well-being at home and in school. Share this blog to let families know the importance of a good night’s sleep so their preschoolers can wake up to fun and better days of learning at Happy Hearts Preschool and Childcare. This entry was posted in Power of Sleep and tagged Critical Thinking Skills, Development, Good Health, Happy Energy, Learning. Bookmark the permalink.